A pro-life group emailed schools in Ireland urging principals and religion teachers to show students a DVD that included excerpts from a 1980s anti-abortion propaganda video. 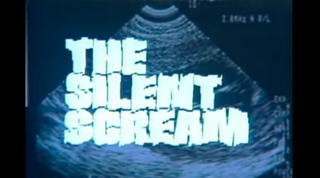 The video, The Silent Scream, shows an ultrasound of an abortion in which the fetus appears to open its mouth “in a silent scream”—a deceptive assertion refuted by the medical community. The anti-abortion group, Donegal Pro Life, reportedly sent letters to schools last week, asking that they play their 50-minute DVD to students in the senior cycle, which are typically aged 15 through 18. Aside from excerpts from The Silent Scream, the video also includes graphic visuals of aborted fetuses and illustrated abortions at different stages of pregnancy, according to the Irish Times. The video also reportedly argues that women who have abortions increase their risk for developing mental health issues, which researchers have concluded is untrue. Donegal Pro Life’s letters to schools across the country come just weeks ahead of Ireland’s historic abortion referendum. On May 25, citizens will vote on whether to repeal the country’s Eighth Amendment, which is effectively a ban on abortions in the Republic of Ireland. The anti-abortion group’s letter reportedly alleged that teachers had been endorsing a “yes” vote to their students—voting “yes” is a push to repeal the amendment and relax abortion laws. The group wants students over 16 to watch the DVD in an attempt to influence them to vote no and maintain the country’s harsh abortion laws. Margaret McGeehan, chair of Donegal Pro Life, reportedly said in the email that it’s “particularly important” for students over 18 to watch the video “before making up their minds” about their stance on the referendum.